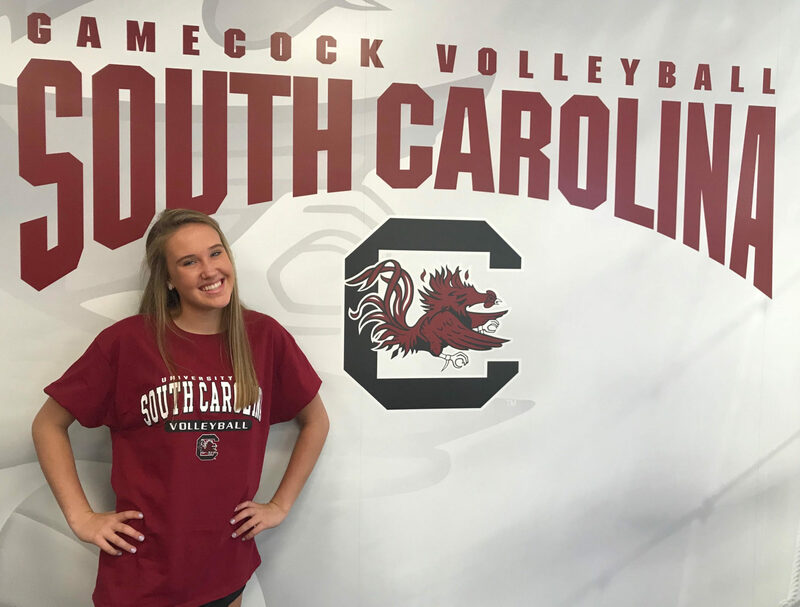 Class of 2020 setter Avery Crowder has committed to the South Carolina women’s volleyball program. Crowder will be a junior for the 2018-2019 school year at Eureka High School in Missouri. As a sophomore she helped guide the team to a 26-7 record and an appearance in the District Finals. Individually, according to her MaxPreps profile, she recorded 433 assists (5.7 per set), 97 digs (1.3 per set), 31 aces (0.4 per set) and 14 kills (0.2 per set). On the club side of things, the 6’0″ Crowder plays with Rockwood Thunder Volleyball Club – recently the 16 Navy team. With the 15 Navy team in 2017, she earned third place in the 15 USA Division at the 2017 GJNC. Video highlights of her play can be seen here via her Hudl recruiting profile. South Carolina finished 2017 at 12-18 overall and 5-13 as a member of the Southeastern Conference (SEC). Their 2018 season – in which they are preseason picked to wind up 9th in the SEC – begins on August 24 against Texas A&M Corpus Christi before meetings with East Tennessee State and Clemson to round out the inaugural weekend.